Our reporters understand that the facts you elicit during discovery are essential building blocks for your case. The exact words matter. So we deliver accurate transcripts, bolstered by a quality video recording. Because we understand the demands of litigation, we are available to assist every hour of every day. DEG has designed and built a secure, web-based scheduling and repository platform. This platform enables you to access your deposition calendar and retrieve transcripts from any internet connection. 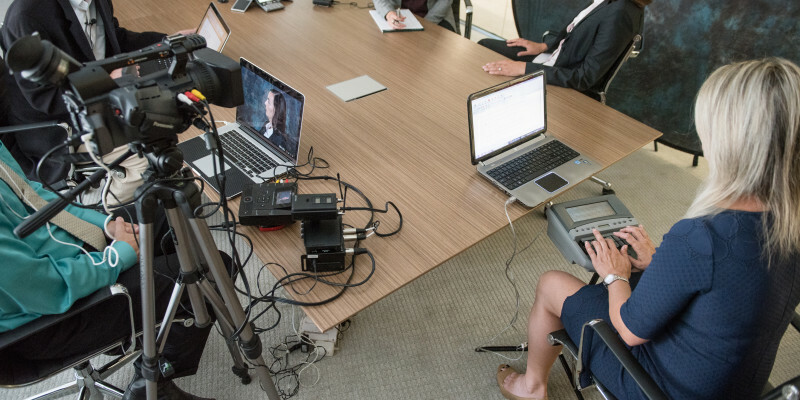 We have developed a reliable process to assist in the organization and formatting of your deposition transcripts, deposition video, and synchronization of transcripts and video for trial. Our experience as trial consultants enables us to provide the proper end products, easing the transition from discovery to trial preparation and presentation. WHY USE DEG FOR COURT REPORTING?